Sitecore’s native ability to manage multiple web properties is a highly-leveraged feature of the CMS. It supports this via different tree nodes and specific configuration to delineate among sites. This blog post covers several important considerations when managing sites with virtual folders. 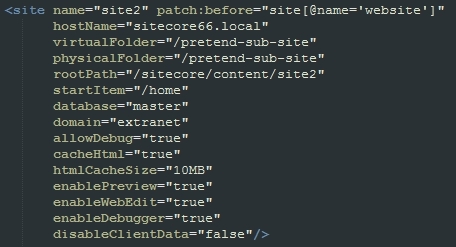 In addition to this, XML configuration in the <sites> section (preferably via the SiteDefinition.config patch) defines what sites map various host names to root content paths. Sites also define a context language, database, etc. Sitecore processes the XML in sequence to find the first site that matches the above criteria. 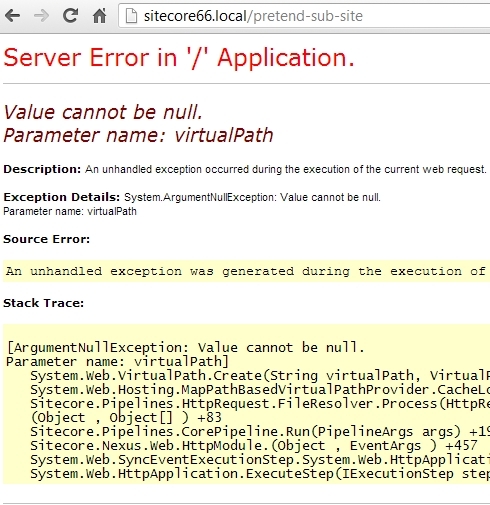 Since each site has a hostName attribute defined, Sitecore first matches against this. Next comes the virtualFolder which by default is simply “/” but may be changed. To configure a site as a virtual folder, define the virtualFolder path AND physicalFolder path to match the expected path. Note: if you have configured the Link Provider to use the Display Name for URLs, these virtual and physical paths must actually match the display name, not the item name. Additionally, you must define virtual folder sites above any non-virtual folder sites that share the same hostName. This is because Sitecore resolves the sites in sequence based on the configuration so you need more specific combinations of criteria first (e.g. host and path). Hi, Can you think of a reason or scenario when someone would actually want/need to use the virtualfolder? What if you need virtual folder name be different depending on the language? I have configured “customsite” with virtual folder settings and can access the same with http://localdomain/healthcare/. however i am facing an issue in a link generated using Url.Action(“Index”,”Home”), it is generating “/api/sitecore/Home/Index” url. upon clicking this url it is not resolving to current site i.e. Context site is “website” not “customsite”. to resolve this i tried below approach. above changes are working fine. is there any other/better approach to resolve this issue.